A friend of my husband needed an Xbox cake for her son’s 16th birthday. This was a surprise to him. 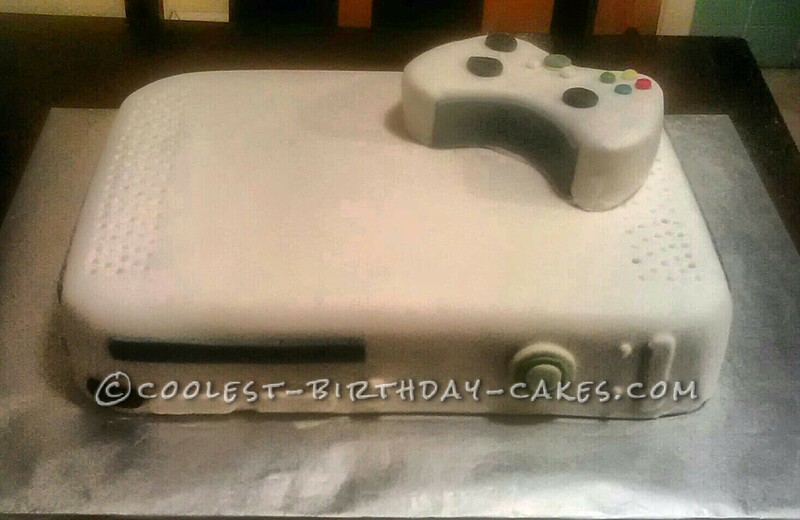 This was a 9×13 sheet cake covered in homemade fondant and the remote was made with a 6 inch square cake pan. He said” It looks like the real thing!” And “I love her for making this cake!” Made my day that he enjoyed it so much!